Click here to read coverage by housing organizer, Yasmina Mrabet. Click here to read coverage by Brookland Manor/Brentwood Village Residents Association president, Minnie Elliott. Click here to read coverage from the Washington Business Journal. Click here to read coverage by ONE DC. Click here to read coverage from the Washington City Paper. Click here to read and listen to coverage on WAMU. 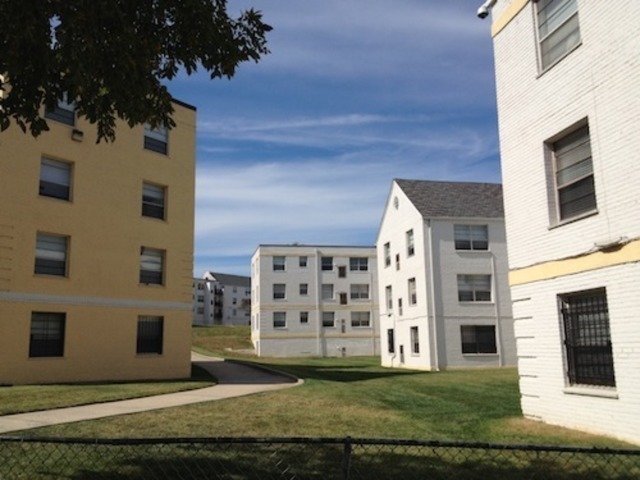 Yvonne Johnson would love a renovated apartment, but not if it means breaking up her family. Click here to read coverage from Greater Greater Washington. 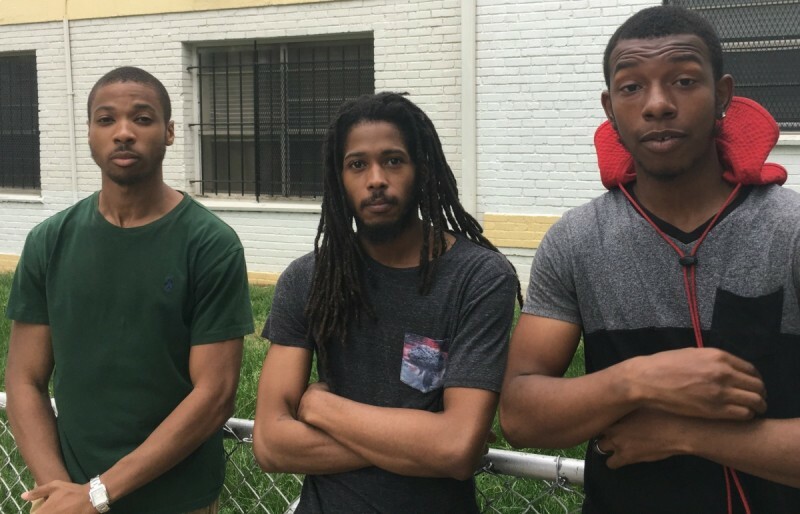 Ahrown Jones, his older brother Christopher Jones, and Marcus Robinson (left to right) visit friends and family at Brookland Manor. All three grew up in the complex; Christopher has since served in the Navy and started a local non-profit agency. All three had stories about seemingly arbitrary rules and aggressive conduct by the complex’s former security employees. Image by the author, Pete Rodrigue. Shanell McNamee has lived at Brookland Manor since she was 11, and lives there now with her mom and sister. She’d like to see 535 affordable units in the redevelopment. Image by the author, Pete Rodrigue.